Launching of the Project "Asset management for water and sanitation sector in South-East Europe"
A kick-off meeting, organized on 25 March 2014 in Belgrade, Serbia launched the new NALAS project "Asset management for water and sanitation sector in South-East Europe", implemented in partnership with the Open Regional Funds, Modernization of Municipal Services (ORF-MMS). 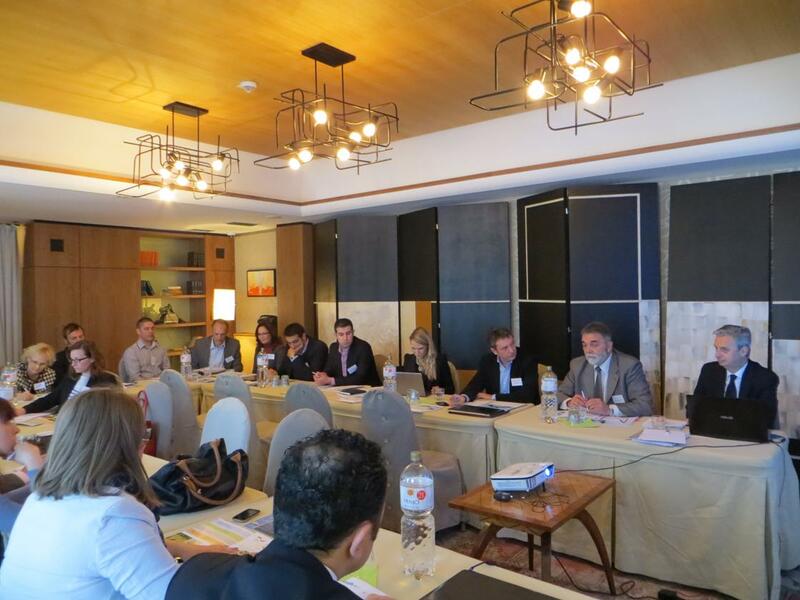 The kick-off meeting brought together NALAS member LGAs involved in the project, as well as representatives of the International Association of Water Supply Companies (IAWD) and the World Bank Danube Water Program, ORF MMS and SDC, to discuss the project action plan and the key challenges ahead. The best practice of Belgrade Waterworks and Sewage in asset management was presented during the meeting. NALAS presented its E-Academy, which with this project will be enriched with a new E-Learning course in Asset Management. The Project aims at introducing asset management methods to improve efficiency and transparency in managing water and sanitation infrastructures in SEE. Selected pilot municipalities will benefit from the the development and use of common asset management methods and the regional exchange of practices, thus being able to improve the managing capacities of public utilities, better predict costs and tariffs, plan long-term investments and improve their efficiency. The Asset Management project will include beneficiaries from Albania, Bosnia and Herzegovina, Croatia, Kosovo, Macedonia, Montenegro and Serbia.